If you like to know exactly why your tipster makes the bets he makes and you like to see just how much work goes into making winning selections then you'll love Mark Foley. Mark made 36 points profit in December with his Premier League bets and today I have his analysis and selections for the Sunderland V Liverpool game for you. 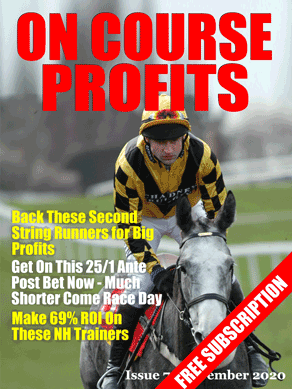 Racing fans, don't forget Nick Hardman gave his Lanzarote tips on yesterdays post. Liverpool have been improving of late and their only defeat in the last 8 came at Old Trafford, they have also made the semi finals of the Capital One cup and are in the 4th round of the FA cup. However, you wouldn’t want one of their players to take your dog for a walk, they are still struggling to hold onto a lead and threw away a two goal lead against Leicester last week. Sunderland have looked far more secure since Costel Pantilimon took over between the sticks, he has the best saves to shots ratio of any Premier League goalkeeper this season (78%) and although Sunderland have won just one of their last 10 league matches, they have only lost three of those ten games. The Black Cats have won just one of their last 10 Premier League games against Liverpool but 4 of the games have ended as draws. Liverpool have won five of their last eight Premier League visits to the Stadium of Light (W5 D1 L2). One of those defeats back in 2009 saw the only Sunderland goal scored by a certain B.Ball; whatever happened to Mr beach ball? Sunderland have scored a higher proportion of their goals in the final 15 minutes of Premier League games than any other side (33%) and they have also picked up more yellow cards (52) than any other team in the top flight. Sunderland to come from behind and draw looks like a bit of value at 8/1 with Hills. Liverpool have only been losing once after 45 in their last 15 PL games and have been all square in all but 3 of the last 13. Sunderland have either been drawing 0-0 or 1-1 at HT in all but one of their last 10 PL games. Look towards a blank first half. Sunderland have played every team currently in the top seven at home apart from Southampton and four of the six games have ended as draws. All but 3 of Sunderland’s 10 goals at home came in the first half hour of the games. Liverpool have played five teams currently in the top half of the table away from Anfield and have lost four of them. If Sunderland do get an early goal, there is a good chance it will be Adam Johnson who has scored in three of his last four Premier League games. Anybody that followed our Friday Nick Hardman columns in 2014 will have made plenty of profit from the selections posted. We had a great start to 2015 with 3 winners from our 5 AW selections in addition to L’Ami Serge winning comfortably and Triolo D’Alene grabbing some place money @16/1 under a brilliant ride by Barry Geraghty on Saturday. This week we turn our attention to the Friday cards at Huntingdon and Doncaster and we have a couple of selections for the Lanzarote Hurdle at Kempton on Saturday. Nicky Henderson has a 44% strike rate at Huntingdon in the last 2 years. In that time he has sent out 15 winners from 34 runners. 9 of those winners were in hurdles races and he is 3-4 in maiden hurdles at the course. Today he has a couple of qualifiers who are pretty much unknown quantities. Nicky Henderson also does well at Doncaster with his hurdlers. In the last two years his hurdlers at the course are 15-37 (41% strike rate) and show a level stakes profit of £37.46. His handicap hurdlers have a lower strike rate (31%) but tend to pop up at decent prices with his last 4 handicap hurdle winners at the course returning industry SPs of 16/1, 15/2, 8/1 and 8/1. He has a trio of hurdle runners today. The Lanzarote Hurdle is one of the feature races on Saturday and I like the look of Dawalan and Hello George who are both backable each-way at 8/1. Dawalan represents the Henderson/ Geraghty combination. Back in November he got to within half a length of Sign Of A Victory over 2 miles and the latter is now rated 149 over hurdles having been last seen in the Grade 1 Christmas Hurdle at Kempton. Dawalan also had the re-opposing Kilcooley 16 lengths behind that day and that horse has gone on and franked that form (2nd to L’Ami Serge and 23 length winner at Haydock on his next two starts). What is more significant though in the context of the Lanzarote hurdle is Dawalan’s battling victory at Ascot over 2m 4f on his last start. That day he was outpaced and 5 lengths down three from home, but rallied gamely to get up close home to beat stable mate and 145 rated Bear’s Affair. The extra furlong should suit and he gets a whole stone from Kilcooley who heads the weights. Hello George ran a good race in the Ladbroke Hurdle, not beaten that far in 6th. He probably needs more of a test than the 2 miles he faced that day and he certainly gets it here. He was tapped for toe in the Ladbroke but stayed on nicely to suggest the step up in trip may well suit. He gets in off a light weight of 10st and that should see him competitive if he sees out the trip. Our mud-larks ran well at Ascot last weekend with Madame Chiang being the highlight winning at 12/1. Betfair backers would have been nicely rewarded with an SP of 18. Not a lot of action this Friday, but I want to highlight the performance of Luca Cumani at Doncaster this season and he has a number of runners this afternoon. We will also be taking a look at the Old Roan Chase from Aintree that takes centre stage on Saturday. Dreamlike is a 2yo and Cumani has not had a 2yo winner at the course in the last 5 seasons (0-11). I would not be overly concerned by that statistic as he has only had the two 2yo runners up at Doncaster this season. Overall his juveniles are 7-34 this year at a highly respectable strike rate of 21%. Dreamlike made an encouraging debut and there is likely more to come. The market could be quite informative of her chances and she could go well at a price. Sleeper King has failed to progress from a promising 2yo campaign and he has shown nothing in 4 starts this year (form figures 0000). However, this is his first run for Cumani having previously been with Kevin Ryan. Caution is advised if you decide to back him. Norway Cross is interesting up in trip having won at Windsor last time out and Kleo is still unexposed after two wins this season and a LTO fourth in a Listed race at Yarmouth in September. These two appear to have the best chances of the quartet. The jumps season is starting to gather momentum and this Saturday sees the Old Roan Chase at Aintree. This year’s renewal looks wide open and a case can be made for many including current favourite Uxizandre, Module, Rajdhani Express and last year’s winner Conquisto. At the prices I think there is a bit of value in Conquisto to retain his crown if the ground stays good. A lot of the higher rated horses in this race will have other targets such as the Paddy Power Gold Cup and the Cheltenham festival whereas this looks like Conquisto’s main target. He is 4lbs lower than when winning this last year and I think he could well have been laid out for this. As an each-way alternative then Astracad could outrun his price, especially as he seems to save some of his better performances for Aintree (including a decent 2nd in this last year). In 2013 he ran in a 2 ½ mile handicap chase at the Cheltenham October meeting a week before lining up for this. He has followed exactly the same path this year and with the Twiston-Davies horses running well he can give each-way backers a decent run for their money. If the rain arrives and there is a change in the going to soft then Wishfull Thinking would have to enter calculations. His last 3 wins have come on heavy, soft and soft going. He is rated 162 but he won twice off this mark last season. Today I'm looking at a book called Jumping Prospects that has been recommended to me. It is written by racing stalwart John Morris. The book is priced at £15 and was published late September and is aimed at those who like to follow trainers and also spot a few big priced winners that are under the radar. There is comprehensive coverage of 21 Trainers along with comments on 475 of the horses in their care. There are also ‘stable eyecatchers’ at the end of each interview to help you focus on those the author really likes. Last year’s edition produced 242 winners and included winners at 40/1, 33/1, 25/1 and 20/1. This is the 23rd edition of the book and clearly offers something that is worthwhile to many. 21 Stable Interviews with various jumps trainers including: Kim Bailey, Ali Stronge, rebecca Curtis, James Ewart, Harry Fry, Warren Greatrex, Anthony Honeyball, Nicky Henderson, Alan King, Emma Lavelle, Charlie Longsdon, Donald McCain, Paul Nicholls, Dr Richard Newland, Ben Pauling, Oliver Sherwood, Dan Skelton, Jamie Snowden, Tom Symonds, Colin Tizzard, Robert Walford. The Jumping Prospects book is guaranteed to uncover many winners during the autumn and winter jumps season. When you purchase your copy of Jumping Prospects it will pay for YOUR outlay many times over, as it has the answers to future winners likely to appear during the jumps campaign.